(TibetanReview.net, Jul17, 2014) –Tibet’s exiled spiritual leader, the Dalai Lama, has on Jul 15 called for a realistic approach for resolving the Sino-Tibetan dispute, contending that using only history to assert one’s position may actually aggravate the situation. Citing the Israeli-Palestinian turmoil as an example, he said the Middle East conflict had prolonged because both sides had used the historical context to back their territorial claims, Radio Free Asia (Washington) cited him as saying Jul 15 in an interview in the Himalayan town of Choglamsar in Leh, capital of Ladakh region of India’s Jammu and Kashir state, where he had concluded his 33rd kalachakra teaching to a congregation of around 150,000 disciples three days earlier. While Tibetans assert that Tibet was historically an independent state, China claims, on the basis of its current situation, that the Himalayan territory was part of Chinese empire since ancient times. And while the Tibetan side, having little to lose, seeks a negotiated solution assuring them autonomy under Chinese rule, Beijing maintains that there is no Tibet issue, that its status is non-negotiable. 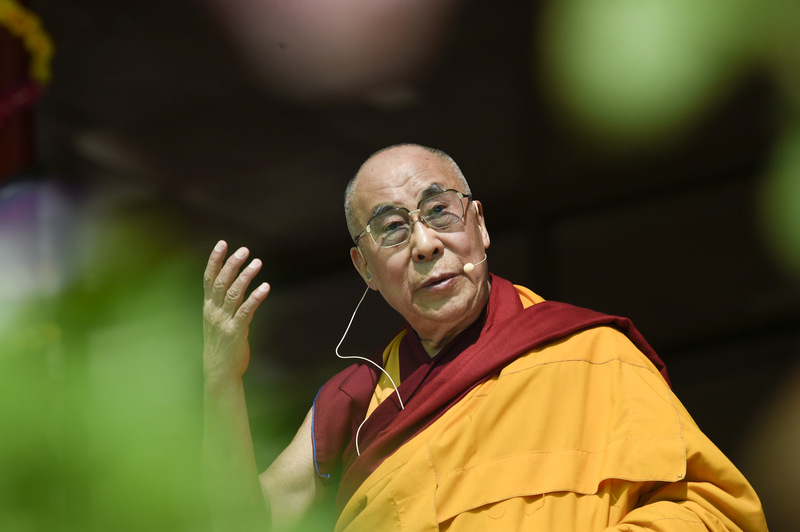 The Dalai Lama has said that the Chinese authorities and Tibetans should regard the Middle East crisis as an example to understand the “reality” of the situation. He has explained that the Palestinians and the Israeli Jews both lay claim to the same territory from the past. And dealing with the issue based on historical records has only aggravated the Middle East conflict since 1948. The Dalai Lama felt that on the Tibetan issue too, we need to think of mutual interests of both the sides instead of pursuing a ‘I win, you lose’ policy, which will not help resolve the situation. The Dalai Lama felt that there was enough historical basis for Tibet and China to reach a negotiated solution. “From a historical point of view, Tibetans and Chinese have a unique relationship. From that perspective, we should think about mutual benefit,” he was quoted as saying. In this context, he has called on the Chinese government to live up to its rhetoric about the brotherhood of nationalities by treating them truly equally. He has also referred to a speech by Chinese President Xi Jinping during a visit to France recently in which he said Buddhism had played a significant role in China’s culture. “That a leader of the Communist Party of China (could) say such a thing is a matter of amazement, a new idiom, a new statement,” he felt.